Dream Face Art offers professional entertainment services for all kind of parties and events: face painting, body painting, glitter tattoos, temporary airbrush tattoos, balloon twisting, balloon decoration and costumed characters. In response to customer demands we are proud to announce that we have partnered with Dream Party and Events to facilitate our client with one stop event service offering now: Sound System, Photography, Wait staff and bartenders. Excellent service with our highly talented team, face painters, balloon twisters and fun characters. serving the metro area of DC, VA and MD. We had the most amazing party thanks to Dream Face Art! Dubeysha came to our Chef Minnie Mouse party for two hours. For the first hour she made many creative and beautiful balloons for the 12 children at our party. For the second hour she did the most AMAZING job face painting. Her paintings were truly works of art. I had at least 8-10 adults at my party ask about her and tell me how wonderful she was. I did lots of reviewing and checking before hiring her as I am quite picky with high standards~and she met and exceeded all my expectations! She didn't even take a break at all during the two hours. She arrived early for set up. She was very sweet with all of the children! She brought the sweetest balloon gifts for my daughter that matched the theme. And she even painted a few adults faces/arms that wanted to be silly and get painted. Can't say enough good things about her work. Dubeysha of Dream Face Art was incredibly professional and prompt in all our communications leading up to our event. She and her colleague Alexia arrived well ahead of the event for setup. They were the talk of our party. Their creative work in both face painting and balloon twisting was greatly appreciated and highly complimented by all our guests-- both children and adults alike. Over and over again I heard our guests express that "they are incredible artists," "really talented." Thank you, Dubeysha and Alexia, for your wonderful work. We hope to see more of you in the years to come. We had a party to celebrate the birth of our son. Dubeysha came for 2 hours for face painting and balloon animals for the kids. We booked her because she seemed very organized and responsive. And we have no regrets! She was on time, super friendly and VERY creative! There was a range in age of babies to 10 year olds and all of them had a great time. She was so artistic and just added these little details that really made the balloons and face paint cool! All the adults wanted her information and kept complimenting her as well. Dream Face Art has come to our HOA annual event for several years in a row and have impressed us every time! They've done both face painting and balloon twisting each year and it's always a highlight of the party! It's amazing how they can make and draw anything the kids asked. All communication prior to the event was professional and prompt. Looking forward to next year already! 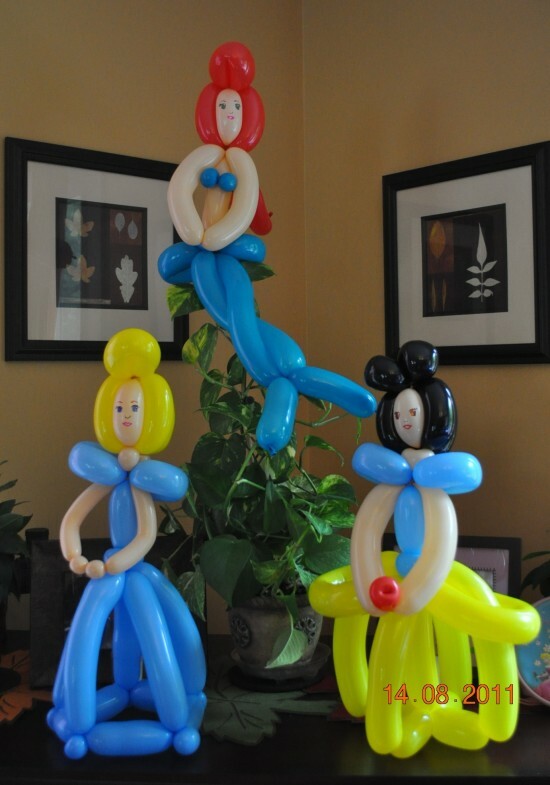 Creative balloon artistry was a crowd pleaser! We had a great experience with Dubeysha of Dream Face Art at a kid’s birthday party. The balloon twisting was hit with all the kids. The creations were detailed and fun. Would definitely recommend Dream Face Art to others. Mr. Twister came to our twins' 2nd birthday party last weekend. He was Amazing. All of the kids (and adults!) were in awe of his balloon creations. Mr. Twister arrived early and was very sweet with the kids. All communication prior to the event was via email and very easy. Beautiful artistry and very professional work. Dubeysha and her colleague provided the most wonderful, creative, professional service that we could have imagined. They painted children and adult faces for our Day of the Dead party this weekend. The guests were absolutely delighted at the quality of the art and the patience and kind manner of Dubeysha and her colleague. The artistry was just beautiful. We would highly recommend Dream Face Art's beautiful work. Amazing Balloons and Face Painting! We have used Dream Face Art for several children's parties and they have exceeded expectations every time. They are great with the kids (and adults) and produce absolutely stunning face painting designs and incredible balloons. Their work is always a huge hit and they are extremely professional and very easy to work with. Highly recommend! I hired Dream Face Art for my daughter’s birthday. Mr. Balloon Twister came on time and asked what my daughter would like. He made a special balloon princess and wand with lights inside! He did a wonderful job with the balloon twisting and all the kids thoroughly enjoyed it. I highly recommend Mr. Balloon Twister!!! Dubeysha is amazing. She did face painting and balloon art at my son's 4th birthday party last weekend. All of the kids were thrilled with everything she did. The parents couldn't believe how incredible the face painting and balloon art was. Many of them asked for her contact information. I can't wait to hire her again. We all blown away by how great she was! She showed up for our daughter's birthday/Halloween party. Most of the kids came in costumes. But she was able to add that something extra to each kids costume with her face paint, which made every kid feel even more special. And those kids who did not come in costume got to now dress up and join in the Halloween fun as well. FacePainters often come and do animals faces or rainbows and butterflies. She did that too (and did it very well), but I have to say her "Day of the Dead" faces were AMAZING! I had a great experience with Dream Face Art for my son's first birthday party. They were very professional and accommodating both before and during the event and really helped make the event more fun. Absolutely loved their balloon centerpieces and indeed the entire experience of working with them! Dream Face Art came out to paint the kids faces for our sons birthday party and everyone was beyond amazed! Not only was she on time and very professional, she was very patient with all the children, and very talented, the images were fun and adorable. She had a display board of options for the kids to pick out what designed they wanted. Everyone was very pleased with their art work. Thank Dream Face Art. We look forward to hiring you for any future parties we have. We used Dream Face Art for my daughters first birthday party and her services were outstanding! All of our guests had a wonderful time. Her balloon creations were outstanding. I highly recommend her services. Thank you for helping make my daughter's day special! I just wanted to thank you once again for an amazing experience at my daughters birthday party yesterday. Your work was so great and all the kids and their parents LOVED it! You took your time and made every child feel special and that means a lot to me. I will highly recommend you to all of my family and friends. Thank you for your wonderful services!! The beautiful artwork and professionalism were amazing ! We truly enjoyed having you entertain our children! Thank you again, hope to have you back again soon! We had Dubeysha as the face painter and a Balloon artist for our daughter's birthday party. Both of them were excellent! We had a very large party and were very happy that we worked with DreamFaceArt. The team arrived on time and were set up and ready to go for the party start-time. The balloon designs were super-impressive. Kids and adults alike enjoyed seeing the balloon art come to life. Dubeysha's face paint was amazing....so pretty and impressive. She is very talented and was able to do a wide range of designs to make all the kids happy. Everyone left the party happy!! I recently had my son's one year bday party. I was worried about entertaining kids of all ages who were attending so I hired her for two hours for face painting and balloon twisting. Boy, was she a hit! She did not have an idle moment since kids were constantly lining up and in the end, I had to ask her to stay longer to accommodate the demand. Many people commented that she is one of the best face painters and balloonists they've ever seen. I am so glad I hired her and would recommend her to anyone looking to elevate their party from great to spectacular! This is the second year in a row, we've hired Dream Face Art. They have been the talk of town ever since! We had ponies and a moon bounce for our daughter's 3rd birthday party and EVERYONE kept commenting on how talented the face painter and balloon twister was! They were both amazing, professional and super talented. We a have large immediate family and of course, we had to invite friends and neighbors, so there were about 30 kids at our daughter's party. Every kid got special treatment--not just the birthday girl. I highly recommend Dream Face Art and I will be keeping them in my rolodex!!! Dream Face Art did a wonderful job for my kids party. A great job done with group of 30 kids. Dream Face Art was absolutely incredible! I hired them for my kids carnival birthday party and they were definitely the highlight of the day!! I thought the moon bounce I got would be the star, but everyone was waiting their turn to get their incredible balloon animals and their face painted. These two were very professional and very impressive. They were great with the kids!! I would definitely hire them again!! I highly recommend them to anyone looking for a balloon twister and a face painter for their event!! We went with Dream Face Art again this year for my daughter's second birthday. They were a hit once again same as last year and I received complements from the kids parents! The face paintings were professionally done and the balloon twisting were very creative. I would definitely hire them again in the future. We had Dream Face Art come to our end of year school event (a carnival) and she did a fabulous job! The faces (we only did face painting) that she produced were just adorable and she was so popular and her line was so long that she even stayed longer than our agreed time without a complaint. I would definitely recommend and will work with her again! Dubeysha from Dream Face Art was professional , skilled , and very polite. She worked great with the kids and is very patient. Highly recommend. I have used DFA several times, and they are definitely better than any others I have experienced. They were professional, intuitive, and creative. Their designs were sophisticated and intricate. The kids and parents both loved them. Everyone wanted a business card. You can't go wrong with DFA. Dubeysha provided face painting and balloon twisting at my daughter's third birthday party. She was very professional, organized, and talented. Also, she was great with the children and did a wonderful job making sure that they all had face paint and balloons. The children felt comfortable with her and we all really enjoyed the experience. She was vey easy to work with and willing to accomodate our needs. Dreamface art did a fabulous job at our daughter's birthday party..they were very professional, arrived on time and kids totally loved their glitter tattoos, face painting and balloons..
We used Mr. Twister (Mr. Costas) for our son's 1st birthday party bash. he arrived on time and was ready to go in minutes. We had about 25 kids ages 18 months- 7. I hired him for 1.5 hours and was nervous he wouldn't be able to get through all the kids but by the end all the kids had 2 or 3 balloons each! There were some amazing ones I saw like minnie mouse and arial from the little mermaid. All of our friends at the party kept commenting to me how fast and awesome he was! Will definately use him again for future events! Dream Face Art showed up on time and definately kept our kids busy! All the kids enjoyed picking a face paint and getting some balloons twisted for them of their choice! It was a great addition to our event! I would use them again. Thanks again! They did a BEAUTIFUL job with their face art, and balloons for our sons' birthday party! 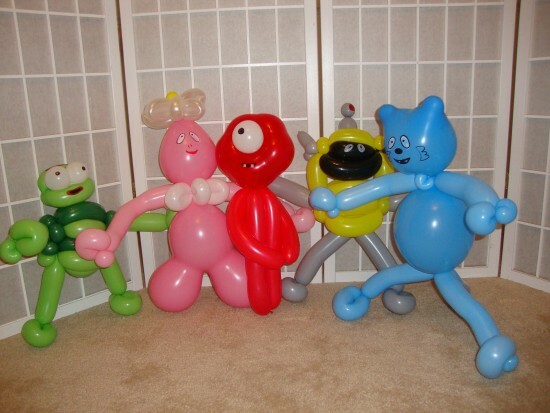 I've never seen such elaborate balloon animals -- like pieces of art! Kids and adults participated in face art as well. Responsible, on time, and wonderful work. THANK YOU thank you thank you! The service was great, this was our third birthday party we have used dream face art. The first one we have used the balloon artist who did a great job and had some balloons in the theme of the party. The last two we have used the face painter, she did an amazing job going out of her way to follow up on requested faces. We will sure use dream face art again. We booked Dubeysha for our son's birthday and all the kids loved her, she was very prompt and considerate. I was amazed at how multi-talented she was in Balloon art and Face painting...would definitely use her again...Highly recommended, Thank you again! WE LOVED, DID A GREAT JOB! Awesome experience. Professional and nice work.. Kids loved them! Look no further, If You need a face painter!!! We hired Dubeysha from Dream Face Art for my daughter's first birthday party with Kids of all ages (1 to 12), in attendance. She is fast, creative and friendly with the kids. Price is very reasonable too. The kids had a great time with her and were happy to queue up more than once. We will definitely call her for events in the future. awesome addition to any party or event!!!! I hired Dream Face Art to do face painting and balloon art for my sons first birthday party. Dubeysha, who I think is the owner, was awesome! We spoke about 2 months prior and she followed up twice before the party to ensure we were on the same page. On the day of the party she showed up about 20 minutes early and set up her station. She had all her own professional equipment and the kids loved her. We had about 15 kids and 10 adults. Everyone got what they wanted and I was surprised at how detailed she was. Great service and great price. I would highly recommend her and will definitely used them again! I had the pleasure of working with Dream Face Art on two different occasions and they were a pleasure to work with both times. They are punctual, professional and the kids love them! They do great work and their face painting skills are much better than a lot of others that I've worked with in the past. I highly recommend this team! We hired Micky and Minnie for entertainment for my daughters first birthday party. Our party was hit and kids really enjoyed balloons and games. I highly recommend them! My daughter's 4th birthday party was a success in part due to Dream Face Art. Dubeysha created beautiful work, the kids loved it. And the parents were amazed at how quickly and uniquely their faces were painted...I would recommend her to anyone. She was great with the kids too. We booked Dream Face Art for our daughters 2nd birthday and we could not have been happier! We requested face painting, balloon twisting and a character. They were all fabulous. The kids loved everything.We had children ranging in age from 2 - 6 and they all had fun! The balloons were awesome and the face painting was beautiful. I would definitely recommend working with this company! Dubeshya made the whole party!!!! I orignially planned a party for 11 kids. Unfortunately, school cancelled that day and all the syblings showed up. Dubeshya face painted all 22 kids and made balloons for them in the 2hrs she was here. The art work was amazing and all the parents were asking about her. Book her for your next event! She did a absolutely amazing job. I hired her for my daughters fairy party and the face painting really transferred the girls into fairies. She was prompt and very friendly. The girls really enjoyed her. The only downfall was the girls not wanting to take the face paint off at the end of the night. She's trustworthy, affordable and the materials she used were keeping in mind the safety of the children. I would absolutely recommend her without hesitation. We used Dream Face Art for a company event and the experience was great. They were very professional and on time. I was amazed at the creative balloon designs that were created. I would highly recommend them for your next event. They did a great job at my daughter's birthday party. Very patient, very professional and treated all children with courtesy and respect. Will definitely be hiring them again. 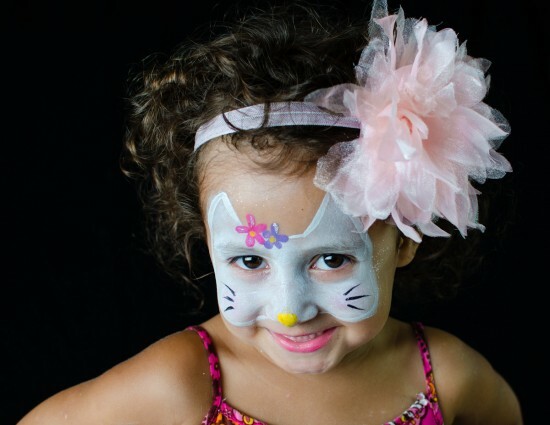 We used Dream Face Art recently for our child's 7th bday party and they were great! They arrived on time, set up quickly, and got right to the kids face painting and balloon requests. They seemed very professional and did a wonderful job. I highly recommend their services for your next kids party. We had a large outdoor picnic (Back-to-School event) and Dubeysha and her daughter were hired for facepainting. They worked very quickly with the long line of kids and created artful designs with a special touch. We definitely look forward to having them again next year at our event! Muchas gracias. 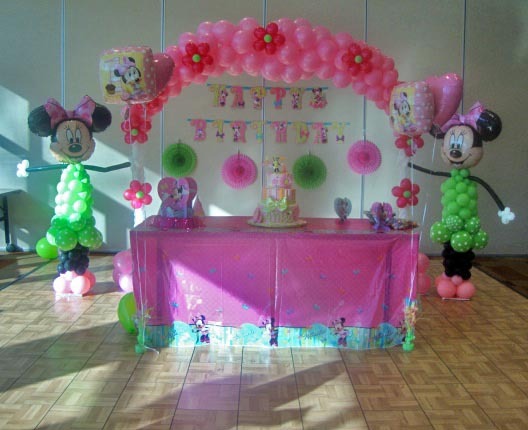 I had the pleasure to use your services for my daughters 1st birthday and was very pleased with the services loved all the work and the staff very professional and pleasant.All guest were excited and pleased with the work. Definitely will use in the future! Dream Face Art was a hit!!! highly recommended, they were very punctual, professional, entertainment was great, children had fun, parents were impressed by the balloon art and face paint. We will definitely hire them again. We can't wait for our next event! you did an outstanding job of helping us obtain high-quality leads for our insurance business...thank you! Guests were very impressed with her face painting and ballon twisting skills. Got lots of compliments on her services. We hired Dream Face Art for face painting, glitter tattoos and balloon twisting. They came on time and were very professional. They definitely entertain the kids at my daughter's 1st Birthday party. Will definitely recommend and hire for the next party!!! We hired a costumed character,Mickey Mouse from Dream Face Art for my son's 1st B'day Party. They arrived right on Time and were very friendly\Professional.My son had a blast! 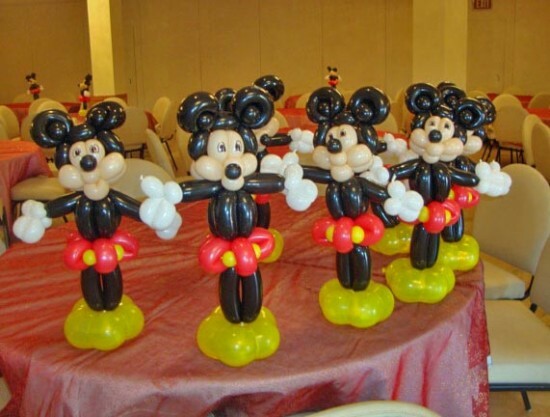 I hired them for my daughter's 2nd birthday with Mickey/Minnie mouse theme with Minnie mouse caracter, very impressive. Kids enjoyed to the core with balloon twisting, face painting and all the wonderful games with music. Will definitely book them for my our future parties. We hired Dream Face Art for my daughter's 6th birthday party and could not be more pleased. The face painting/balloon twisting team showed up early and worked nonstop during the event. They accommodated every child's wish and made everyone feel at ease (several of the younger children would never get their faces painted before). All the parents commented on how good they were with the children and how talented both were. Even on the way out the door Dubeysha took the time to make a very detailed requested design for my 4 year old son that he had seen on her website. I would highly recommend this team and use them again. I hired Dream Face Art for my three year old birthday party. They were very professional and talented. The party was princess themed and they decorated my house beautifully with princesses shaped ballons everywhere. My little one felt like a real princess with her special ballon tiara. They were very patient with the kids and every single kid got their unique ballon. All the moms were very impressed with this team. Their Minnie Mouse costume was very nice. It was priceless to see the kids so happy dancing with Minnie. I would definitely hired them again next year! Dubeysha was very friendly and professional. Our friends and family thoroughly enjoyed them! Dubeysha and Dream Face Art did a fantastic job at our company picnic this weekend. Her and her partner spent two hours at our picnic decorating adults and childrens faces and bodies. Everyone loved them and the work looked very professional. We will definitely use them again. Thanks! Birthday Parties, Fund Raisers, Fairs, Carnivals, Festivals, Schools, Pool Parties, Company Events, Graduation Parties, Grand Openings, Restaurants and more. We only use high quality FDA-approved paint for skin and cosmetic glitter and continuously attend conventions, workshops and training classes to keep updated to the latest techniques and products.